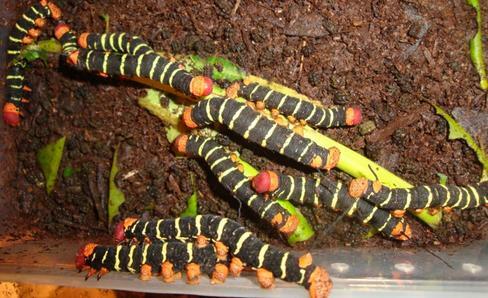 What do you do with Tetrio Sphinx caterpillars? Build caterpillar cities, of course! 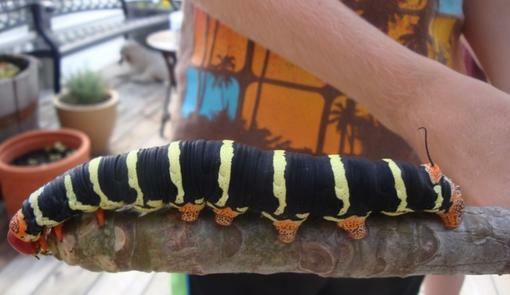 Erik and I found these giant caterpillars on a neighbor's Plumeria tree. 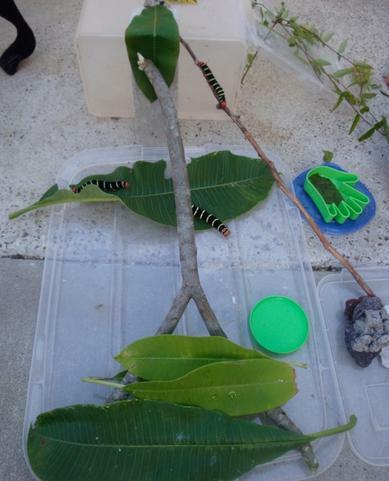 We had never seen caterpillars as big as these, so we did some research and found out that these are Tetrio Sphinx caterpillars. 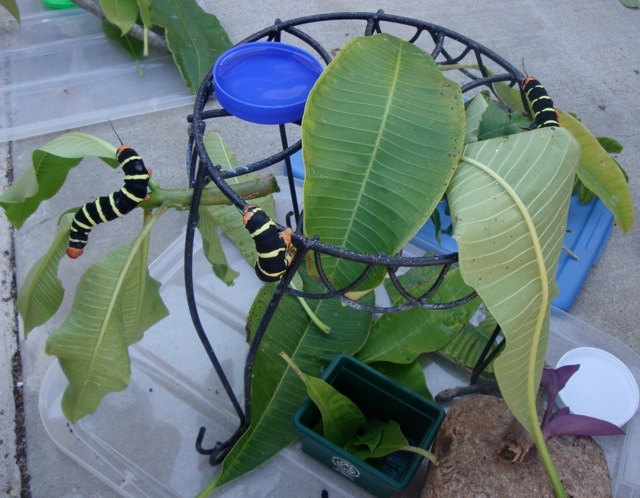 Tetrio Sphinx caterpillars are commonly found on Plumeria trees, and even though they eat lots and lots of leaves, the tree isn't damaged. After eating leaves for a few weeks, the caterpillars formed cocoons. Three weeks later moths emerged and we set them free. Many moths form cocoons, while butterflies form a chrysalis. 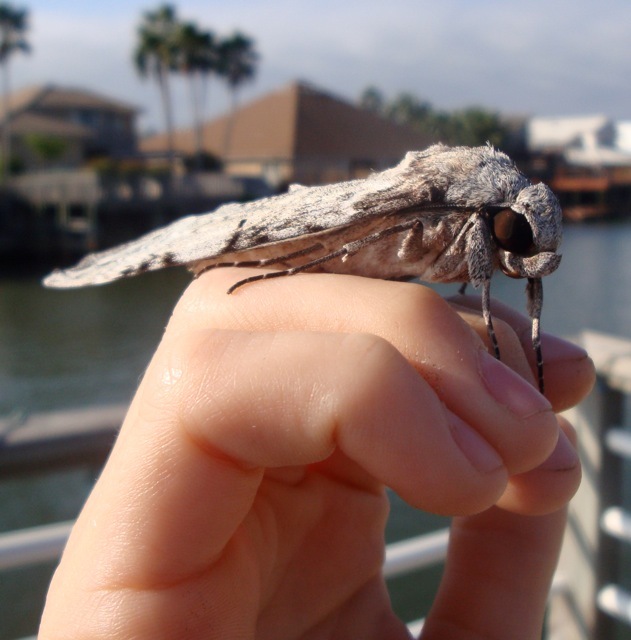 Tetrio Sphinx Moths can fly up to 33 mph making them one of the fastest flying insects! Roaches are insects. 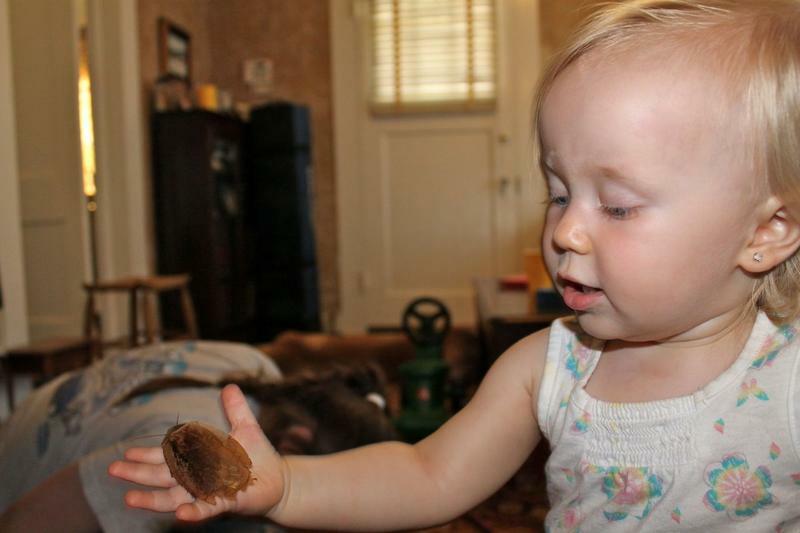 Our cousin, Emsley (pictured left), is holding a Giant Peppered Roach. 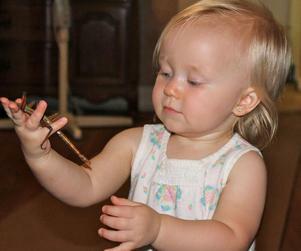 Emsley knows that only 1% of all roach species carry pathogens and are invasive. This 1% of roach species are considered PESTS. The other 99% make great PETS! 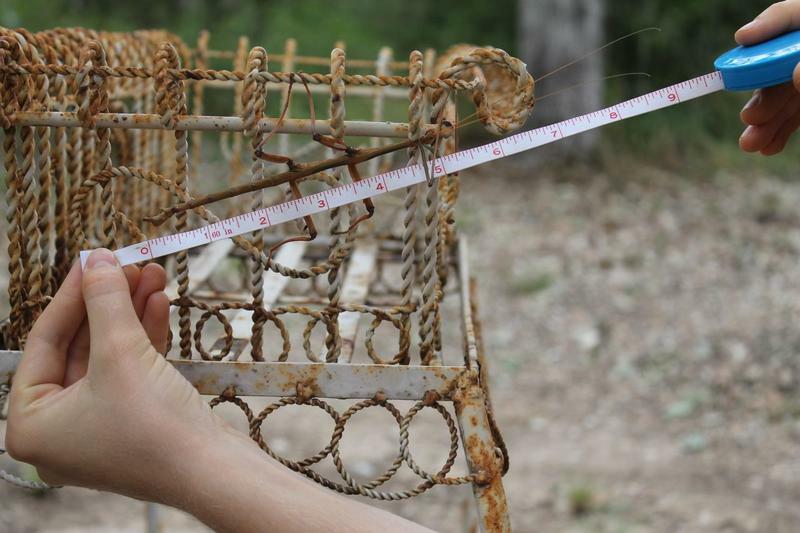 They don't carry pathogens, and they are non invasive. That means they can only live in a specific environment. Most roaches are helpful by cleaning up decaying matter on forest floors. There are over a million species of insects. 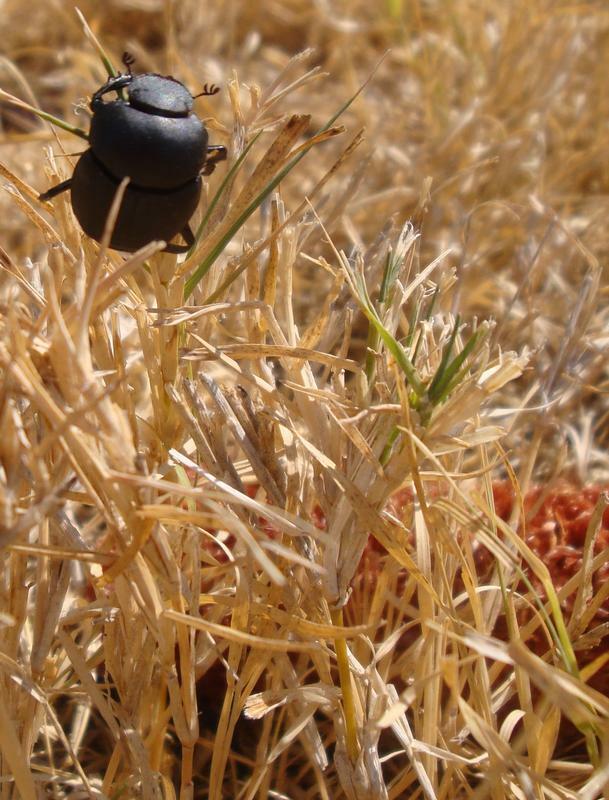 Some insects are helpful by decomposing organic matter, eating harmful insects, and pollinating food crops. 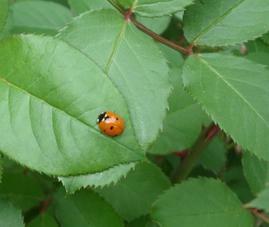 Other insects are harmful by damaging plants and spreading disease. When pesticides are used on plants all insects are killed, even the insects that are important to our gardens and farms. I use only organic methods when working in my garden. I like to grow foods and herbs in living soil. Living soil is rich with microorganisms, arthropods, earthworms and more. Healthy soil grows healthy plants. Howard Garrett has a great site on organic gardening that has many tips and information. What About Ladybugs by Celia Godkin. 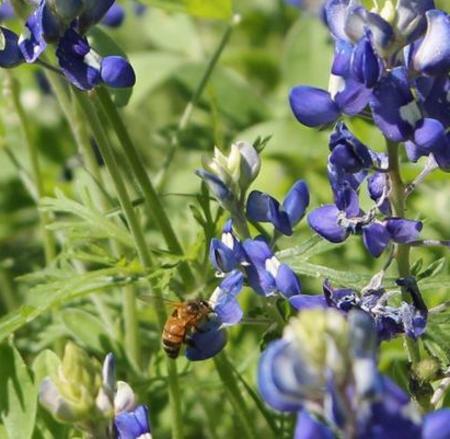 Insects, like bees, help pollinate gardens and fields! We would have no food, flowers, trees or any plants without pollination! 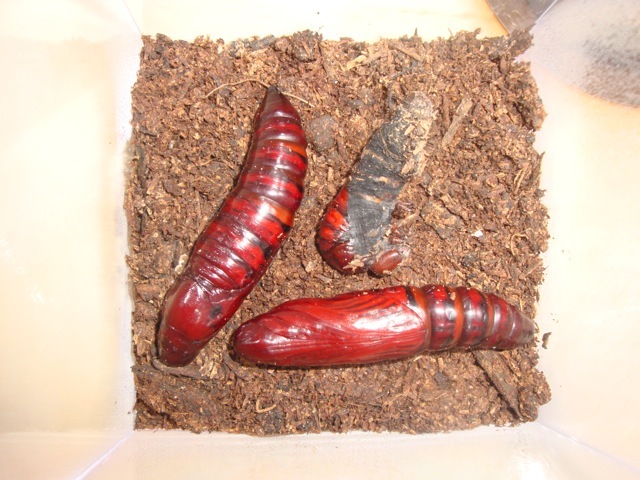 This Giant Cave Roach (pictured left) is molting. Roaches have exoskeletons and they molt as they grow. Roaches are white until their exoskeleton hardens. 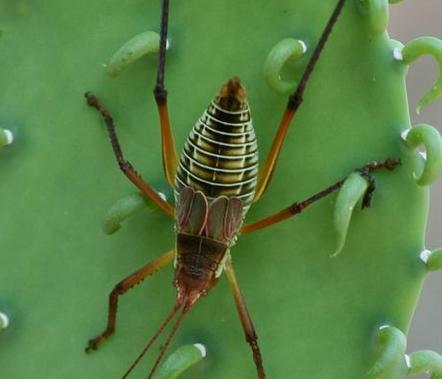 Exoskeletons help protect insects' bodies. Giant Cave Roaches are one of the largest roaches in the world. The longest insect in the United States is a walking stick. 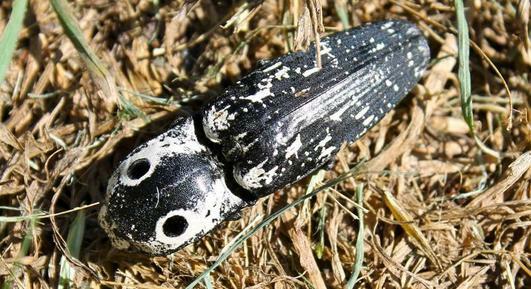 This species can reach 7 inches long! In other parts of the world, walking sticks are over a foot long! They eat leaves from trees, but don't cause damage. Walking Sticks have many defenses. They are mostly known for being pros at camo! 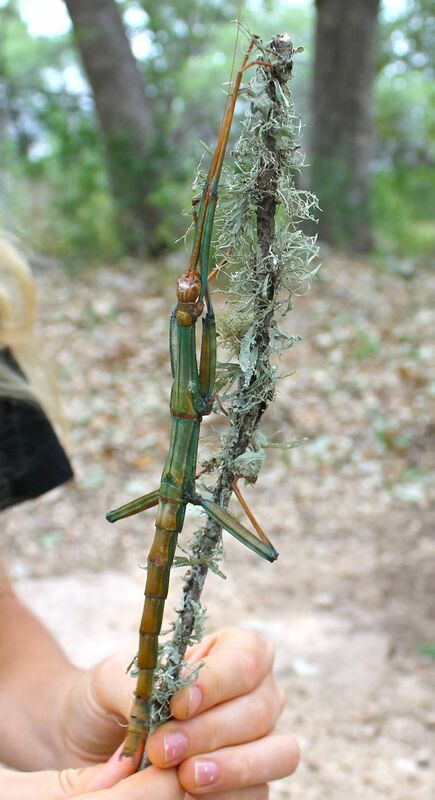 If camo doesn't work, walking sticks use shockingly vivid colors as a defense mechanism. The species we have in our yard will curl their tail up over their body - possibly mimicking a scorpion. When all else fails, some walking sticks resort to spraying a chemical that can predators' eyes and nose. Dragonfly ~ Can be found near bodies of water and help control mosquito population. The largest dragonfly fossil had 3 ft wingspan - largest in history! They can flip off their backs and go up 4 times their body length! Butterflies ~ There are about 24,000 species, and they're important pollinators. 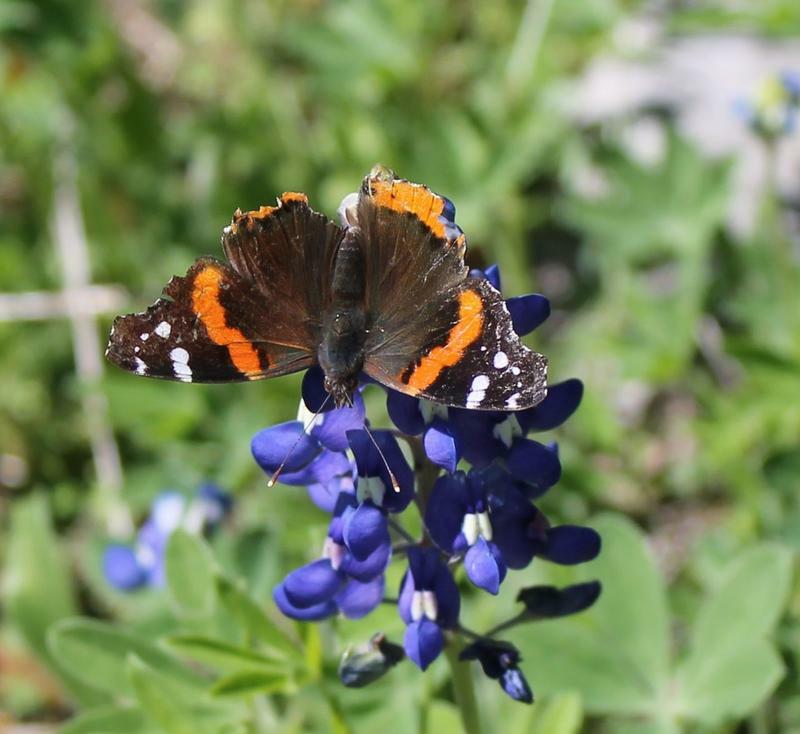 Plant a butterfly garden and plant milkweed to attract monarch butterflies! 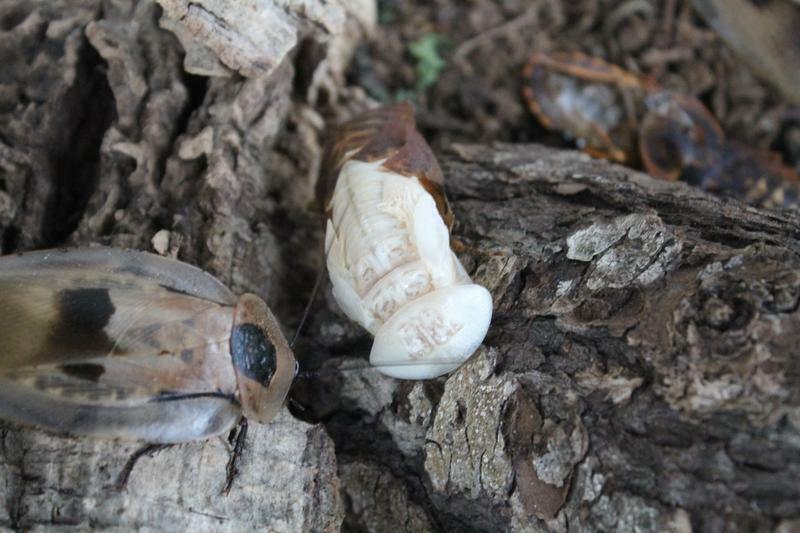 One of our Giant Cave Roaches started molting at our display table and we caught it on tape!